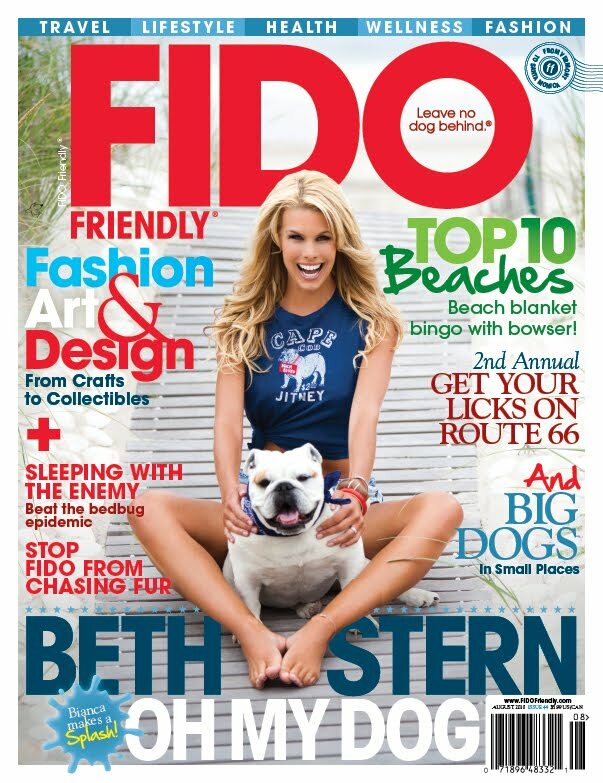 FIDO Friendly Magazine - We Love Ya! Parental Unit and I are sooooo excited to introduce the publisher of FIDO Friendly magazine, Susan Sims, as our guest writer today! FIDO Friendly is proudly in its 10th year of publication, and is dedicated to sharing valuable stories and information about all the wonderful places you can travel with...yes, you guessed it, Fido! 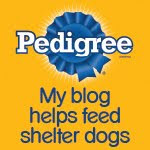 Their tag line is: "Leave No Dog Behind"-now don't we all agree with that! 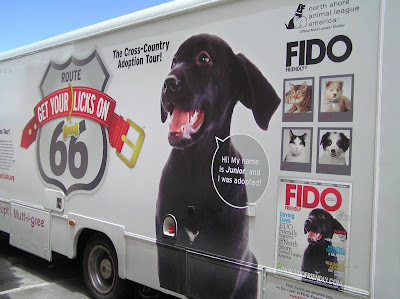 Anyway, Ms. Sims wanted to tell all my readers about a wonderful "road trip" she, her dog, Junior, and some of her staff, along with lots of volunteers and sponsors took to promote (and seal the deal!) on pet adoption across the U.S. So without further adieu, here's her piece along with some wonderful pictures of the trip-pack your bags and water bowls, cause here we go! P.S. Please don't pass up the discount code, highlighted in bold, below-only for readers of Bocci's Beefs! And.. there will be a give-a-way of a year's FREE subscription to FIDO Friendly magazine in a post later today-so keep a look-out! North Shore Animal League America (NSALA) and FIDO Friendly magazine partnered for the inaugural "Get Your Licks on Route 66" pet adoption tour this past June. Presenting sponsors Purina and One Hope Network, along with supporting sponsors Bissell, 3M, Toyota, LaQuinta Inn & Suites and Animal Radio, helped raise awareness for pet adoptions across the country. 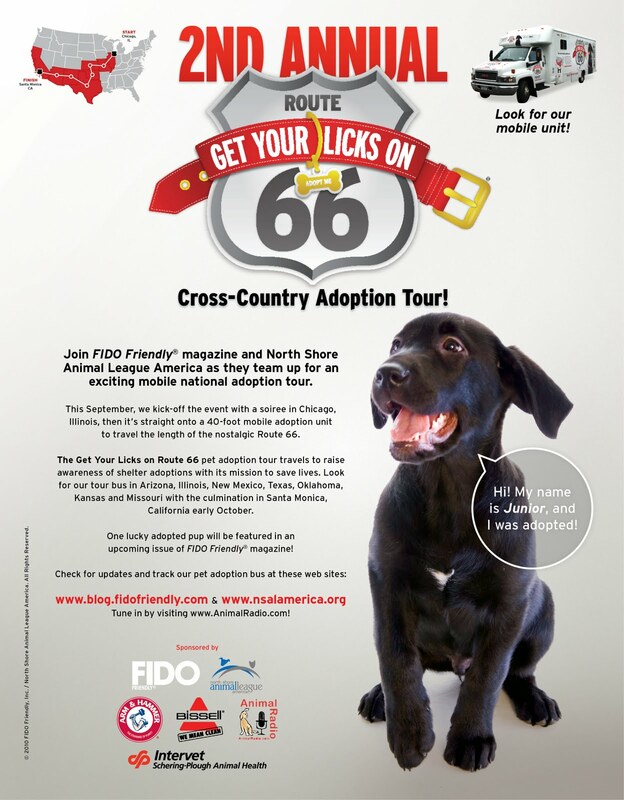 More than 150 pets found forever homes and one lucky pup graced the cover FIDO Friendly magazine this past February. NSALA provided the 36-foot mobile adoption bus, and pets were picked up in style and delivered to local Wal-Mart venues where potential guardians could board the bus and look for their forever pets. Bus drivers James Gleason and Deborah Ross piloted the climate-controlled vehicle from Santa Monica, CA, to Chicago, IL. They arrived at partner shelters early to collect the eager batch of hopeful adoptees and every evening returned those who were not adopted that day. James and Deborah would then clean and sterilize the bus so it was ready for the next town. Their hard work was rewarded each time a new pet guardian signed on the dotted line. It was also understood that many people looking during the day and not quite deciding on a pet would often be found the following morning at the shelter, ready to adopt. Toyota provided the Venza for us to use as a chase car, and with Junior safely ensconced in his crate, we rode America’s favorite highway. 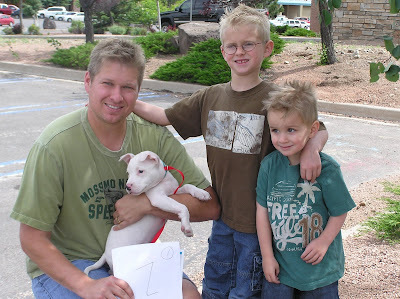 The Mother Road, as some have called her, was welcoming and full of smiles as people passing by glanced over at our logo promoting pet adoptions. Together, my husband, Greg, Junior and I witnessed firsthand how hard the shelter volunteers work and what big hearts they all have. Hard facts of why so many animals end up in our country’s shelters were never more evident than the day spent at one adoption. Two small dogs were owner turn-ins. 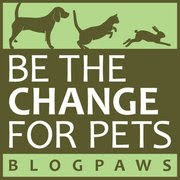 The reason: The owners were moving and the new apartment community did not allow dogs; the blind, 14-year-old Beagle, who luckily came to a no-kill shelter and will most likely live out her days there, had a guardian who was taken to a nursing home, where dogs are not allowed. Many dogs and cats were found as strays, just like our boy, Junior; the one-eyed Pomeranian whose littermate brutally attacked him and who had to have surgery to remove his eye. The owner turned in the victim. All but the Beagle mentioned above were adopted that day. This was a trip of a lifetime, one we have pledged to make as an annual event. With the help of NSALA and our sponsors, we will do our very best to make a difference in how shelter animals are viewed and to help raise awareness to adopt when the time is right to bring home a new family member. We’ll be going back out for our Second Annual "Get Your Licks on Route 66" tour this September. Stop by on the route and say hello. You just might end up with a furry best friend! Read more FIDO Friendly destination and health/wellness articles and get the latest and greatest in where to go with your pooch by visiting FIDO Friendly magazine at www.fidofriendly.com and our blog at: HYPERLINK "http://blog.fidofriendly.com"
For more information about your canine family member, check out the latest issue of FIDO Friendly magazine. All Bocci’s Beefs readers are entitled to a 20% discount off a year’s subscription. 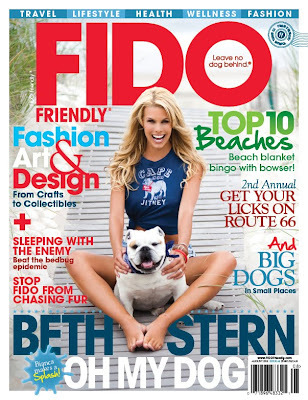 Click on this link http://www.fidofriendly.com/shop/fido-friendly-magazine-subscription/ and enter promotion code “Tasha” at checkout to receive the discount. It is an afterthought. I do not like it if data like this are overlooked. To action my acrimony with this element, I took the band off afterwards a brace of canicule using the louis vuitton replica included band tool, which is a absolute bonus and I replaced it with a elastic NATO. I anticipate the watch now looks a lot better, but that is just my opinion. The band is simple to change because the bounce confined are attenuate and the springs actual forgiving. I accept this is just as abundant a abrogating as a absolute due to the achievability of them bustling loose. It has not happened to me, but then, I do not go bashing my watch about willy-nilly. Overall, this is a versatile, wearable watch. It is ample on the breitling replica wrist, but not uncomfortably so. It would plan bigger with accidental accoutrements than formal, artlessly due to the acme of the watch, which is 17mm. The alarm clock sub-dials assuming the account and hours respectively, and date window at 6, are great, simple complications. The acme is actual able-bodied knurled, apprehension beautifully, and sports the brand is logo, which is alluringly embossed. The pushers are classically styled and accordant with the accepted mien of the design. I adopt added solid pushers from a absolutely applied point of view, but can not abjure that these attending abundant on this timepiece. There will alone be 100 ELYSEE Jochen Mass Magny Court Special Edition watches made, and they will be accessible on the covering band or a Milanese cobweb armlet for 100 more. The amount of the ELYSEE Jochen Mass Magny Court Special Edition on covering is 1,498. The watch comes with a 2-year assurance and is accessible online or from called retailers. The Louis Vuitton characterization was founded in 1854 if French artisan Louis Vuitton began designing his own baggage line. If Vuitton's son, George Vuitton, created the signature cipher canvas in 1896, it was an burning hit. Today, the Louis Vuitton cast is accepted the apple over for rolex replica its handcrafted covering and accurate absorption to detail. If purchasing a archetypal Louis Vuitton purse or section of luggage, the Vachetta (untreated leather) handles are a anemic biscuit featuring gold colored stitching. The covering handles, straps and data on the purses and accoutrements burn over time and become a darker honey color. Carry the bag consistently for the aboriginal two months. Anniversary time a Louis Vuitton bag is handled, the accustomed oils on your duke will activate to burn the leather. Rub army calmly on the covering locations that charge blaze abounding times a day. Environmental clay by itself speeds up the process. Within two months, the covering will be hardly darker, and it will abide to becloud to a honey blush with anniversary ages that passes. Expose the bag to absolute sunlight as about as possible. Hang the purse on the aback of a armchair if dining outdoors, or artlessly abode it on a apple-pie anhydrate in a safe area, such as a defended backyard or a brilliant windowsill. The sun's application will burn the covering added quickly. Humidity aswell helps acceleration the action along; If you reside in a boiling environment, this will plan in the bag's favor. Place the bag anon beneath a lamp for several hours at a time. Turn the bag to hublot replica accomplish abiding that all areas get the aforementioned bulk of acknowledgment from the ablaze bulb.